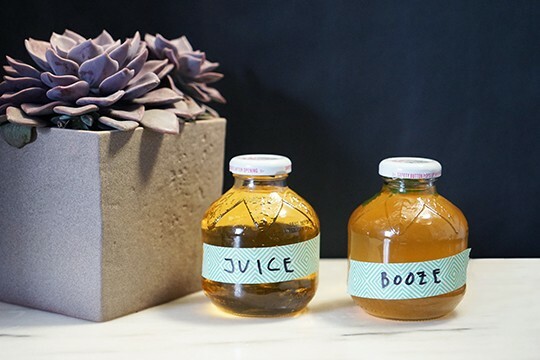 You know those cute little apple juice bottles that are shaped like apples? The little ones that go down in one gulp and are the most delicious apple juice in the world? I've always fantasized about doing a cocktail and serving it in those cute little bottles - and TODAY IS THE DAY. 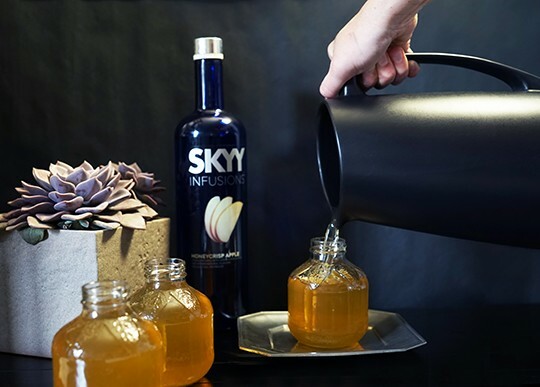 When SKYY Vodka asked me to create a cocktail recipe for their SKYY Infusions Honeycrisp Apple, I knew exactly what I wanted to do: a batched apple vodka cocktail that would be perfect for parties all summer long - picnics, garden parties, and rooftop soirées. 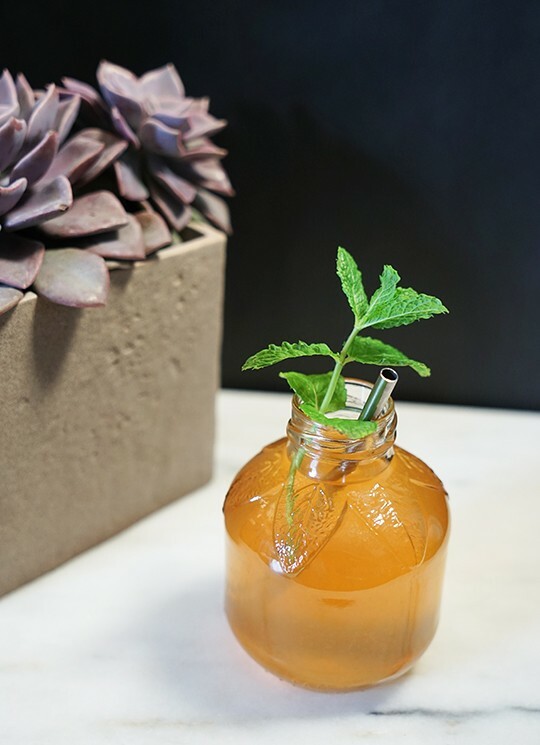 This cocktail is amazing because it is made with green tea, so you get a little buzz of caffeine. 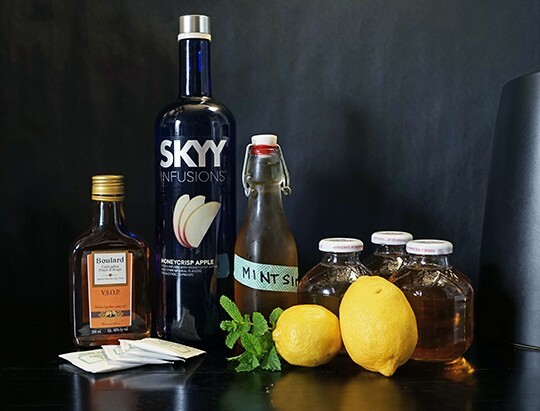 This cocktail does take a little bit of prep-work, so plan accordingly and start early. 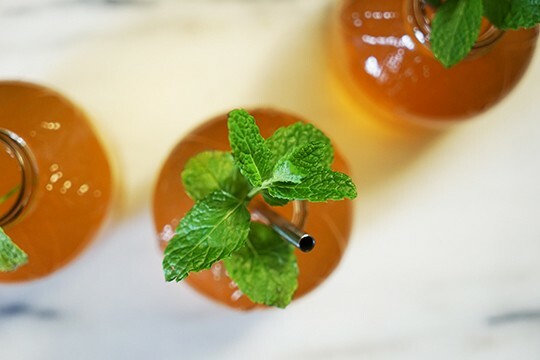 I recommend prepping the mint simple syrup and the green tea a few hours ahead of time so they have time to cool before you mix everything together. Extra points for the hostess who has all the cocktails bottled and chilled before the party starts. 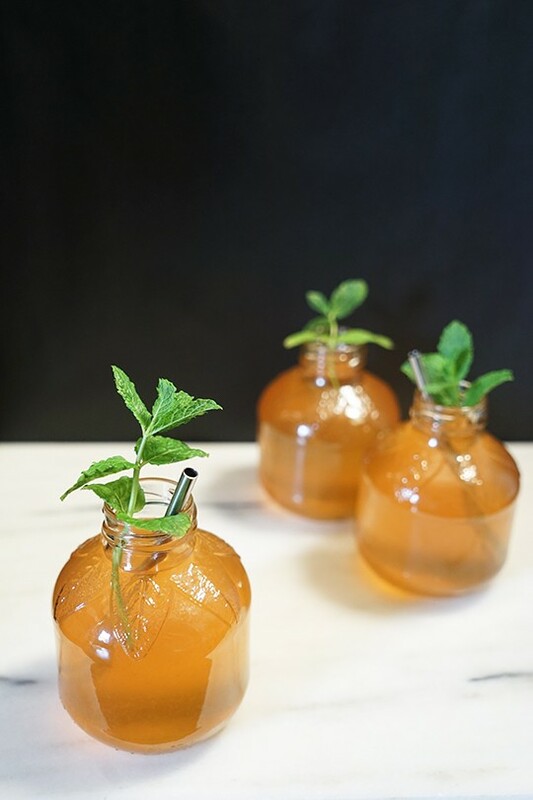 Another thing I love about this drink is that you can serve the regular apple juice along with the cocktails and no one feels left out. 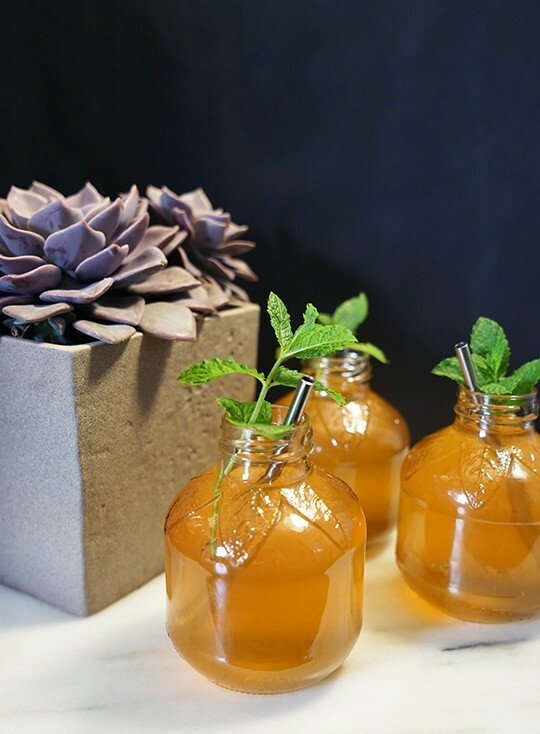 Pick up some fancy straws such as the W&P metal straws to serve with the mini apple bottles, and you have a perfect bottled libation, with or without the booze! 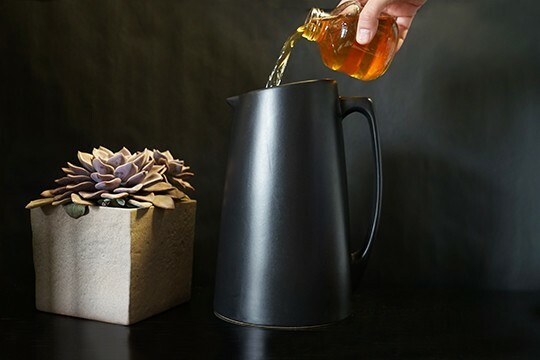 In a large pitcher mix all the ingredients together and stir. 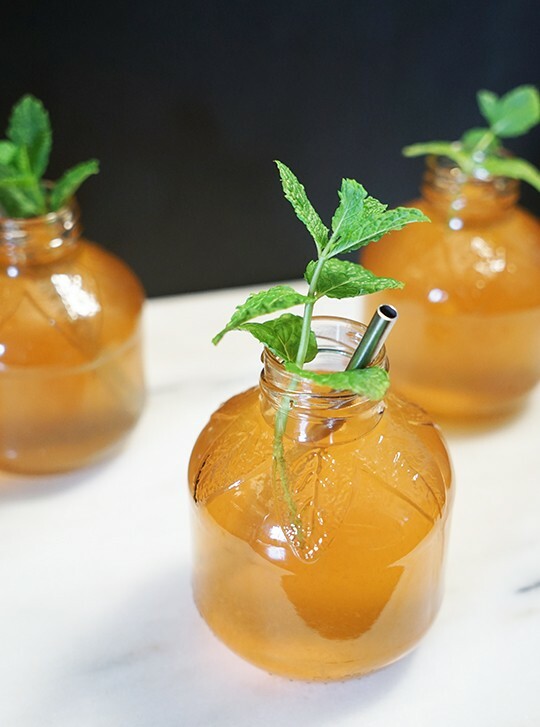 Pour into the emptied apple juice bottles, and cap. Label accordingly, and chill in the refrigerator until party time.